Un ensemble de quatre voiturettes de sabots de frein arrière, numéro de pièce 10081. MG Magnette de 1958 et versions ultérieures. Manufacturer Part Number 10081. MK2 Austin A55 1958-1964. Morris Oxford MK4 1959-1962. NEW FRONT BRAKE LININGS WITH RIVETS SET OF 4. MORRIS MINOR. MORRIS MARINA 1300, 1700, 1800 ; YEARS 1971-1980. Un ensemble de quatre voiturettes de sabots de frein arrière, numéro de pièce BS45. ce sont 7 "x 1 1/4" et s’adapter Manufacturer Part Number BS45. Robinet d’arrêt Morris Minor & Morris Minor S3 1949-1956. AUSTIN MORRIS 1100 1300 Mk2 AND 3. 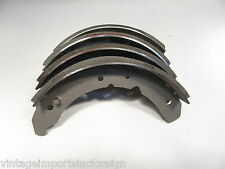 FRONT BRAKE DISC PADS. IF YOU UNABLE TO FIND THE PARTS YOU ARE LOOKING FOR. Plaquettes de frein avant DP4627R EBC Yellowstuff fit AUSTIN MARLIN MG MORRIS ONYX RELIAN. DP4627R EBC Yellowstuff Front Brake Pads for MARLIN AUSTIN MORRIS MG ONYX Sportster Mini métro RELIANT Bobcat 4 Scimitar SS1 Scimitar SST Scimitar Sabre. EBC part number: DP2155. Right of portability – you have the right to have the data we hold about you transferred to another organisation. Performance and styling (83) Hide all sub-categories. Our legitimate interests. AUSTIN MORRIS MINI 1275GT. OCTOBER 1969 - 1973. NEW FRONT BRAKE DISC PADS. MORRIS MARINA AND ITAL VAN 440 575. FRONT BRAKE DISC PAD SET. MORRIS 1100 MK1. THE PICTURE USED IS AN EXAMPLE ONLY THE PADS MAY DIFFERENCE SLIGHTLY IN APPEARANCE. NEW FRONT BRAKE PADS. I WILL BE UNABLE TO PROCESS ORDERS FROM THE 14TH SEPTEMBER 2014 TO THE 6TH OF OCTOBER 2014. 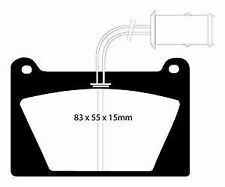 PART NUMBER FOR REFERENCE: GBP281. WOLSELEY 1100 Mk1 ; YEARS 1965-1968. RILEY KESTREL 1100 Mk1 ; YEARS 1962-1968. 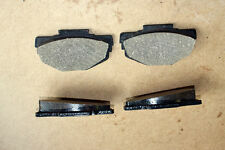 DP4108R EBC YellowStuff Front Brake Pads Morris 1800 S. EBC Part Code: DP4108R. EBC YellowStuff Front Brake Pads. This is not a low dust pad. Morris 1800 S 1.8. MK1 MK2 MK3. AUSTIN MORRIS MINI COOPER "S". DP4127R EBC YellowStuff Front Brake Pads Morris Mini. EBC Part Code: DP4127R. Morris Mini 1275 GT. EBC YellowStuff Front Brake Pads. This is not a low dust pad. MORRIS 1800 S. THE PICTURE USED IS AN EXAMPLE ONLY THE PADS MAY DIFFERENCE SLIGHTLY IN APPEARANCE. NEW FRONT BRAKE PADS. CARS FROM 69 TO 72. I WILL BE UNABLE TO PROCESS ORDERS FROM THE 14TH SEPTEMBER 2014 TO THE 6TH OF OCTOBER 2014. DP4102R EBC YellowStuff Front Brake Pads Morris Mini. EBC Part Code: DP4102R. Morris Mini 1275 GT. EBC YellowStuff Front Brake Pads. This is not a low dust pad. MG Magnette MK3 1958-1960. MK2 Austin A55 1958-1963. Morris Oxford 1959-1962. Un ensemble de quatre voiturettes de sabots de frein avant, numéro de pièce BS80. ce sont des unités de 9 "x 2 1/2" et s’adapter . BMC AUSTIN CLASSIC MINI (64-89). AUSTIN MORRIS RILEY WOLSELEY 1100, 1300 (65-74). 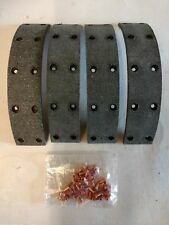 BRAKE PAD FIXING KIT GBK1010. discolouring on pins due to storage. PRINCESS 1800, 2200 (75-81). RANGE ROVER (70-). ROVER SD1 3500 5 door (76-81). DP4128R EBC YellowStuff Front Brake Pads Morris Mini. EBC Part Code: DP4128R. EBC YellowStuff Front Brake Pads. This is not a low dust pad. Morris Mini 1.0 Cooper. MORRIS ITAL. FRONT BRAKE DISC PAD SET. Austin Healey Sprite 1958-1962. MG Midget 1961-1962. Morris Minor 1949-1960. Un ensemble de quatre reconstruits avant frein (fabriquée aux Etats-Unis), partie numéro BS44. ce sont 7 x 1 1/4" et s’adapter . DP4627R EBC YellowStuff Front Brake Pads Morris Mini. EBC Part Code: DP4627R. EBC YellowStuff Front Brake Pads. This is not a low dust pad. Morris Mini 1.3 Turbo. DP2108 EBC GreenStuff Front Brake Pads Morris 2200. EBC Part Code: DP2108. EBC GreenStuff Front Brake Pads. There is no such thing as a no dust pad and all brake pads create more dust as they are bedding-in especially if brake discs are worn. MORRIS MARINA. FRONT BRAKE DISC PAD SET. MORRIS 1800 MK1 AND 2. THE PICTURE USED IS AN EXAMPLE ONLY THE PADS MAY DIFFERENCE SLIGHTLY IN APPEARANCE. NEW FRONT BRAKE PADS. EXCEPT FOR THE 1800S MODEL. I WILL BE UNABLE TO PROCESS ORDERS FROM THE 14TH SEPTEMBER 2014 UNTIL THE 6TH OF OCTOBER 2014. DP2155 EBC GreenStuff Front Brake Pads Morris 1100. EBC Part Code: DP2155. EBC GreenStuff Front Brake Pads. There is no such thing as a no dust pad and all brake pads create more dust as they are bedding-in especially if brake discs are worn. 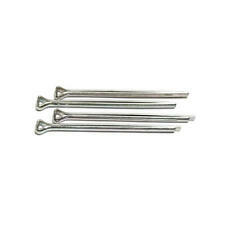 Un ensemble de quatre sabots de frein remanufacturés (fabriquée aux Etats-Unis), partie numéro BS41 ou 10041. ce sont 9 x 1 1/2" et s’adapter Manufacturer Part Number BS41. MGTD MGTF & 1949-1955 (avant & arrière). Ce sont 7 x 1 1/4" et s’adapter Manufacturer Part Number BS46. Austin Healey Sprite 1958-1962. Morris Minor 1000 07/1953-1956. Interchange Part Number 081-0507. DP2169 EBC GreenStuff Front Brake Pads Morris 1800. EBC Part Code: DP2169. EBC GreenStuff Front Brake Pads. There is no such thing as a no dust pad and all brake pads create more dust as they are bedding-in especially if brake discs are worn. 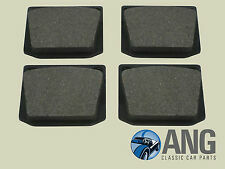 DP2155 EBC GreenStuff Front Brake Pads Morris 1300. EBC Part Code: DP2155. EBC GreenStuff Front Brake Pads. There is no such thing as a no dust pad and all brake pads create more dust as they are bedding-in especially if brake discs are worn. Morris Minor robinet d’arrêt et soupapes en tête 1950-1956 (correspond à l’avant ou l’arrière chaussures). Morris Minor 1000 1957-1962 (correspond à l’avant ou l’arrière chaussures). Nous faisons tous les efforts pour assurer que nous fournissons de qualité supérieure et les bonnes pièces pour toute application donnée. Part number for reference: PFK3. MORRIS MARINA 1300 ; YEARS 1973-1975. MORRIS MARINA 1800 ; YEARS 1971-1975.